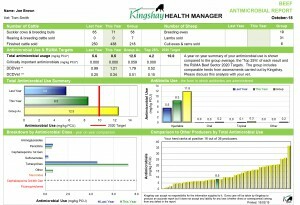 More details of the Antimicrobial reports are shown below with examples. 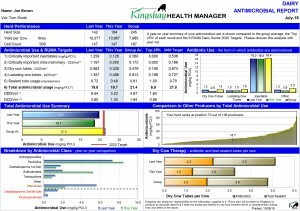 A summary of Antimicrobial purchases with details broken down by antimicrobial class. Data compared to the group average and a target range. Summary of how antimicrobials are administered e.g. Injectable, Lactating or Dry Cow Tubes. Summary of Dry Cow Therapy. 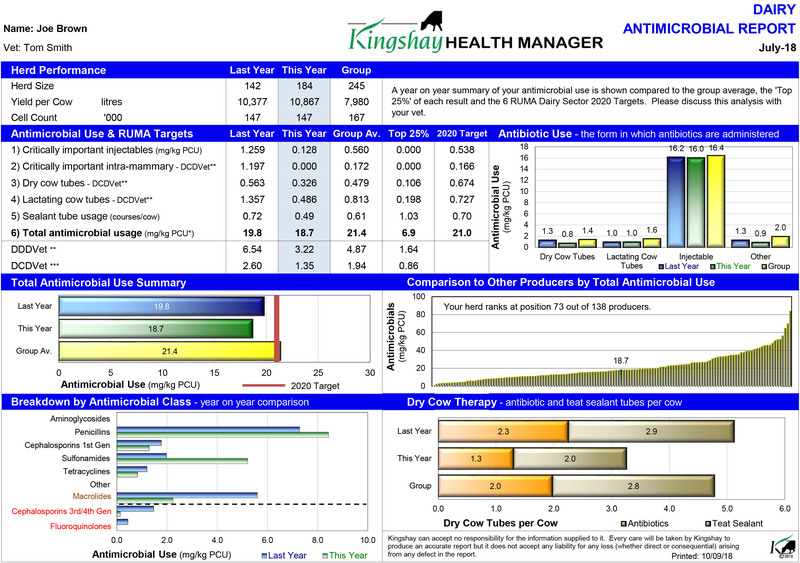 A list of Antimicrobial products purchased in year, with a summary of total tubes or ml purchased. CIAs are highlighted in red. 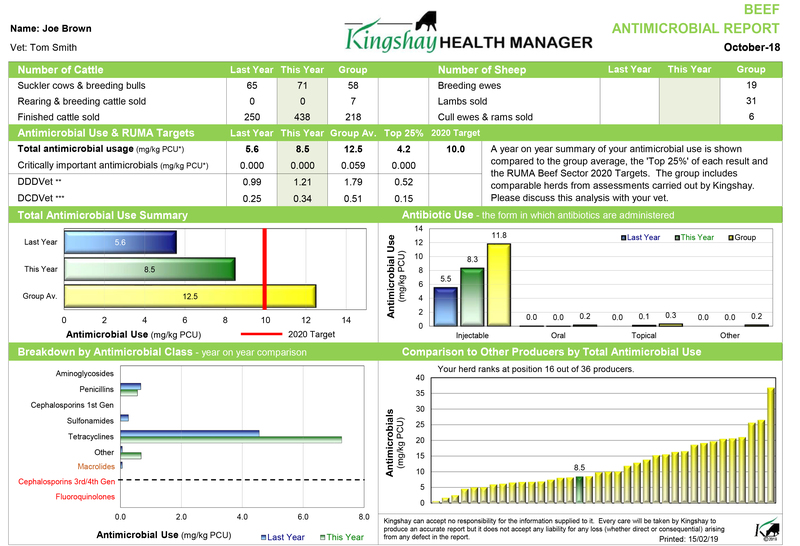 Antimicrobial purchases summarised by month of purchase.